When he campaigned for the presidency on an anti-war ticket, US President Barack Obama was crystal clear that, when it came to the use of torture, and the legal ruses of the Bush administration to justify the use it, he was totally opposed. After former president George W. Bush vetoed a bill that would have stopped the CIA using its “harsh interrogation techniques”, he accused his then opponent, Hillary Clinton, of flip-flopping on a subject that he believed was black and white. “When I am president,” he promised, “The American people and the world will be able to trust that I will outlaw torture, because unlike Senator Clinton I have never made an exception for torture and I never will.” Fast forward six years and Obama’s record is mixed. While the torture programmes may have indeed stopped on his watch, the promised day of national reckoning for what was done in the name of defending “freedom and democracy” has yet to happen. Even if it was impractical for Obama to prosecute or even censure those responsible there needed to be a proper accounting for what happened to ensure that lessons were learnt. To that end, the US Senate intelligence committee spent three years preparing an exhaustive account based on five million pages of classified CIA documents that were rendered down to produce a 6,700-page report. Last April, the committee voted to release a 550-page declassified summary of its findings. But six months later it remains unpublished. Obama could have done much more, but time and again he has been the victim of desultory regulatory capture by Washington’s intelligence establishment. Obama did admit at a televised White House press conference in August that “we tortured some folks”, but he has done absolutely nothing more than the minimum necessary to shed light on one of the darkest episodes in American post-War history. In a process overseen by Obama’s chief of staff, Denis McDonough, the White House has continued to aid and abet CIA demands to redact even pseudonyms used in the report. Committee members argue that to do so makes the report unintelligible. It starts right at the top with the organisation’s current director John Brennan, who was appointed by Obama in March 2013 and who did nothing to object to the Bush-era torture programmes. Even at his Senate confirmation hearing he refused even to condemn waterboarding. When Brennan was forced to admit this year — contrary to earlier denials — that the CIA had been spying on the Senate Intelligence committee (in a violation of the separation of powers), Obama gave him his “full confidence”. Even now it appears that McDonough is running down the clock, knowing that, come January, Republicans will control Congress and drag out its release still further. The publics of both America and Britain still badly need their moment of epiphany on the use of torture and this report is crucial to that process. A poll by Amnesty found that 29 per cent of Britons think torture is sometimes acceptable, while in America a YouGov poll for Foreign Policy found that 41 per cent approved of torture — an astonishing 14 per cent increase on 2007. 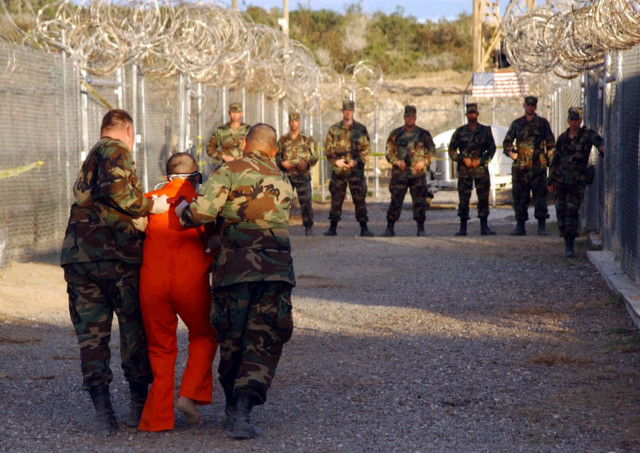 The US State Department continues (rightly) to champion universal human rights around the world, but upbraided nations and stateless terrorists need only one word to dismiss any charges: Guantanamo. Daesh (Islamic State of Iraq and the Levant), in the sickest way imaginable, alludes to this unpalatable truth every time it dresses its victims in orange jumpsuits and gleefully subjects its captives to waterboarding before it murders them. Now, more than ever, it is vital to show the world that westerners are not like them. Not because they are perfect, but because real democracy demands the real accountability that Obama once promised, but has abjectly failed to deliver.